I recently attended CEBIT 2018 in Hannover, Germany as a guest of Huawei and found new technology trends and announcements that you need to know about. CEBIT takes place at the Hannover Fairgrounds, the world’s largest fairground and it’s for a good reason. This year’s show boasted 2,800 companies participating, 600 speakers, and more than 330,000 people in attendance. A crazy fact is that during the dot-com boom, CEBIT saw more than 850,000 attendees at one show. This is certainly one of the most important technology events on Earth. Let’s dive in and get you the details! 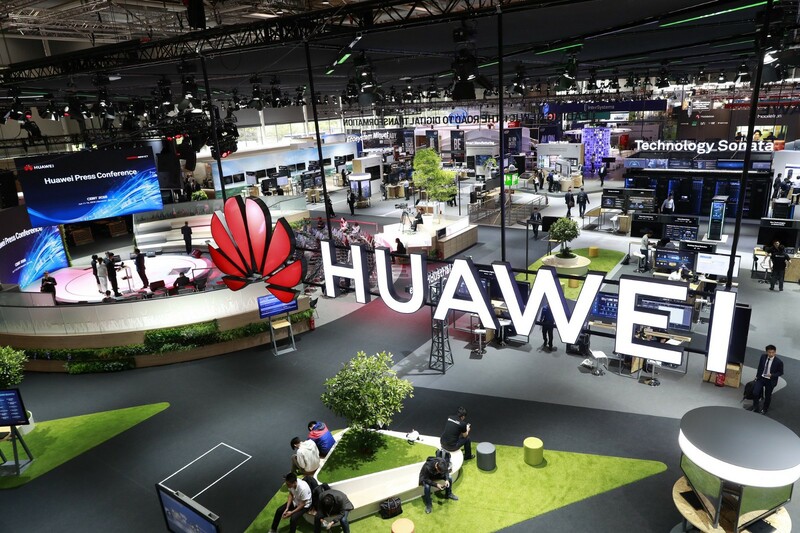 Huawei was one of the largest exhibitors, taking up half of a hall across two floors, and brought the full force of their enterprise technologies to more than a hundred customers and partners. I had the chance to see Huawei introduce new technologies and ecosystem developments that continue to make Huawei a growing competitor for other tech companies. It was clear from Yan Lida, president of Huawei Enterprise, that Huawei is focusing on making technology to solve problems for now and for the future. “Every enterprise will be digital in the future, building its own platform or becoming a part of the platform. Huawei is committed to building innovative, open, digital platforms, helping organizations achieve information technologies (IT) and operational technologies (OT) convergence, as well as the technology and business convergence,” said Lida during the CEBIT event. On display was everything from their Internet of Vehicles (IoV) and Software Defined Cameras (SDCs) to their new Smart Airport and Transportation solutions. I was particularly keen to dive into the new announcements made at the event and was able to get private briefings with senior officials from the Huawei Enterprise Business Group to get the inside info! Let’s start out with the Internet of Vehicles (IoV) announcements. I had never heard of IoV, but it seems like the scope of the Internet of Vehicles is worthy of its own acronym. At CEBIT, Huawei made a joint announcement with one of their customers, the PSA Group, about the updates to their OceanConnect IoT platform where they are powering up to 45 million PSA Group cars in the next five years. The new announcements are aimed at empowering automotive manufacturers, like PSA Group, to have the most advanced digital solutions available to them. Another announcement made by PSA Group was a new business model where they will allow travelers to instantly rent cars when they land at airports vs waiting in lines at rental car company kiosks. Mr. Qiu Lei, vice president of Huawei’s marketing and product solutions sales department within Huawei Enterprise, said that Huawei wants “to help automobile enterprises achieve service-oriented transformation, enable smart transportation of the future, and provide IoV solutions for governments, communications operators, automobile enterprises, vehicle operation enterprises, mobility service providers, fleets, and vehicle owners.” This is a huge step forward in enabling the original value drivers in the auto industry, the car manufacturers, and is just the beginning for IoV. Check out my video coverage of this solution for more. Another big announcement that matters to most of us is Huawei’s Smart Airport solutions. I have had the benefit of experiencing these solutions at the Dubai, Shenzhen, and Thailand airports, but the magic of these powerful, digital solutions is that you don’t notice when they work. Like all great technology, the solutions become invisible and consumers simply enjoy the benefits of living in a connected world. Recent statistics by the International Air Transport Association (IATA) show that the demand for air travel is expected to grow by 7.0% in 2018, and the total number of air passengers is expected to soar to 4.36 billion. In 2018, the net profit of global airlines will reach approximately US$33.8 billion, and global air travel expenditures will increase by 10.4% to US$794 billion. If these statistics aren’t enough to drive airports to undergo a digital transformation toward smart operations and development, I don’t know what is! At CEBIT, I got to see the launch of Huawei’s new smart airport solution that demonstrates how creating a powerful ICT infrastructure can create smarter and safer airport environments. Huawei released its Smart Airport 2.0 Solution, using new ICT technologies such as digital collaboration, cloud computing, IoT, and Big Data to reconstruct airport information flows. From the perspectives of terminal building safety, apron operation, and passenger experience, the Smart Airport 2.0 Solution provides all-scenario designs that run through every step of an airport’s aircraft flow and passenger flow. The solution also delivers an optimal passenger experience through airport-wide situational awareness, advanced security functions, and intelligent collaboration opportunities for airport staff and management. “The new Smart Airport 2.0 Solution focuses more on technology linkages among intelligent video surveillance, Big Data and Artificial Intelligence (AI), and the Internet of Things (IoT), and includes Smart Allocation of Stands, Smart Navigation Lighting, Intelligent Perimeter Protection and E2E Self-Service Boarding,” stated Mr. Qiu Lei. These solutions have been helping dozens of airports run more effectively around the world and help passengers in a few key ways. They enable data interaction among various vertical business systems at airports, drives intelligent and efficient airport operations, accelerates security responses, and delivers more convenient and comfortable passenger experiences. One example is through the ability to route airplanes more effectively around the airport and decreasing passenger wait times by 2,000 hours per day per airport. Now imagine what how many hours that will be when Huawei moves from their current 15 airports running the Smart Airport solution to possible all of the world’s 41,000 airports? Let’s do some math! This is what my company, Brinc.io, likes to call, the IoT Value Equation. If we take 2,000 passenger hours saved per day (X) * 41,000 airports (Y) * 365 days per year, we see that 29.9 Billion hours per year are currently being wasted. That’s nearly 3.5 million years of time that is being wasted each year that these connected solutions can give back to humanity. Not to mention, some of our sanity from shorter travel times! If you ask me, this is a step in the right direction and I am sure that all 4 Billion of us that traveled in 2017 are hoping for Huawei’s Smart Airport solution to make its way to our major travel destinations soon. 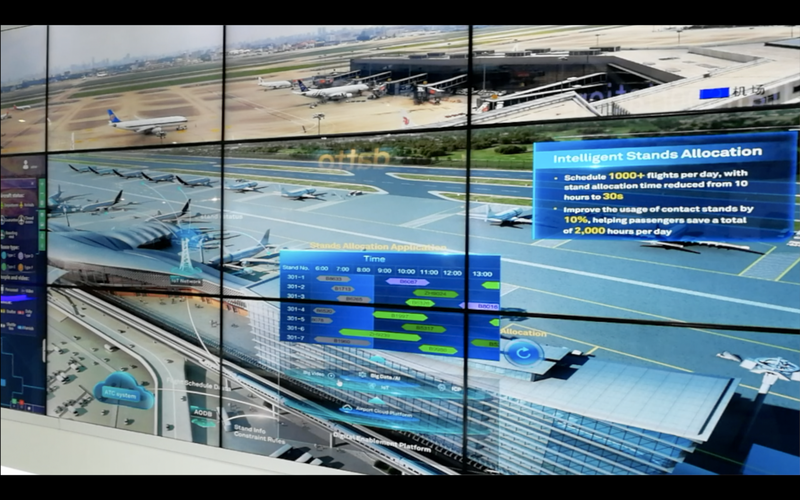 If you want to see more examples of the Smart Airport solution, you can check out my video coverage. Last, but certainly not least, was Huawei’s announcement of their Software Defined Cameras or their new AI powered CCTV systems. I’m going to geek out on this one, just warning you in advance. These cameras could be the most cost effective and most disruptive solution by Huawei to date. Let me explain. First, about the technology itself. These cameras are powered by Huawei’s artificial intelligence (AI) chips and have ‘sensing’ capability right out of the box. They can load different software and algorithms tailored to different scenarios, enabling multi-feature extraction and identification, collaboration between multiple cameras, and device-cloud synergy. 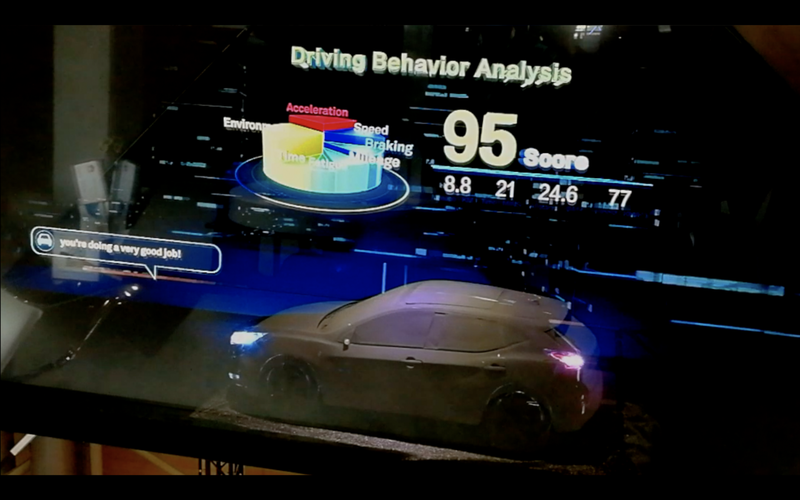 They can be used for facial recognition, vehicle recognition, ePolicing, and more. The price and AI power are great, but here’s why it’s such an amazing step forward. For any of you that follow me, you know I have built my entire business around the Internet of Things or IoT. The common belief back in 2014 when we started Brinc.io was that the future of the connected world meant physical sensors in everything… every chair, every door, every light… everything. It seemed overwhelming. Then computer vision came along and the world changed. Now, with cameras like Huawei’s SDCs that can run multiple algorithms simultaneously and can be remotely updated, we can now sense the world around us without having to literally connect every object. A small fleet of cameras spread throughout an environment can sense what would normally take hundreds of thousands, if not millions, of dedicated sensors. This is a profound leap forward in Huawei’s new vision ‘to bring the digital world into everyone, every family and every organization’ and I for one am a big fan. 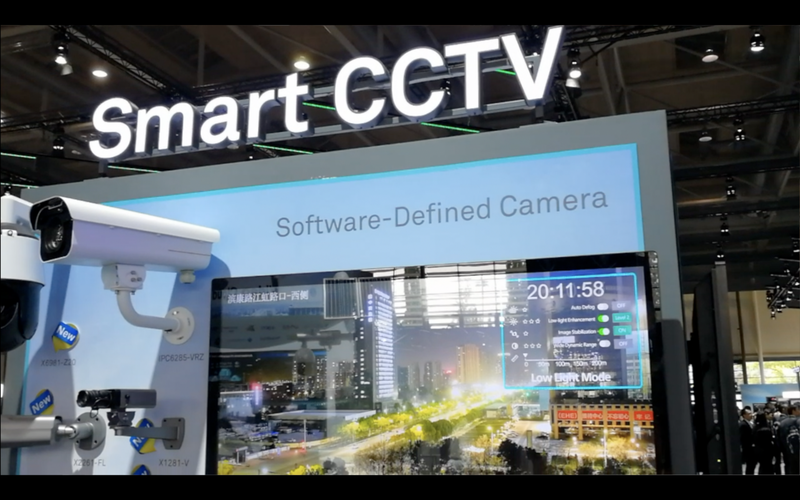 If you want to learn more about Huawei’s Smart CCTV solution, you can watch my video coverage. I’m a sucker for great tech and CEBIT 2018 was like being a kid in a candy store. Huawei is playing at the next level on almost every front and the solutions I covered in this article are only the few that I had time to go deep on. There were dozens of equally profound technologies that I couldn’t cover. You’ll just have to stay tuned for more.